In September 1997 Life Fitness Australia was formed to act as the exclusive Australian distributor for Life Fitness and Hammer Strength products. Beginning with only five employees, LF has grown rapidly and today employs a staff base of over 100, with offices in Victoria, New South Wales, Queensland and Western Australia. 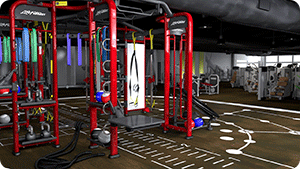 We are the leading supplier of fitness equipment to commercial facilities and home gyms. Directors Robert McClure and Paul McClure have over 60 years combined fitness equipment experience. Under their leadership, our highly skilled sales, service and administration personnel offer clients the benefits of exceptional results underpinned by proven strategies. Expert advice, sound judgment and shared values will always form the cornerstone of our professional association. Whether we are providing commercial fitness equipment or outfitting a home gym, our quality of service and the standard of our products remain at the same high level. 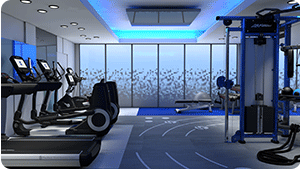 At Life Fitness, product development is done with both the facility owner and exerciser in mind. We improve so that they can improve. Over the past four decades our product offering has developed and expanded exponentially. The Life Fitness cardio product line includes treadmills, exercise bikes, elliptical cross-trainers, summit trainers and stairclimbers. The Life Fitness strength catalog features selectorized, plate-loaded, and circuit series equipment. Our Hammer Strength brand is trusted by elite athletes around the world and those who want to train like one. We have redefined small group training with the creation of SYNRGY360. And, Life Fitness isn’t just about fitness hardware. By creating state-of-the-art technology solutions, we’ve provided users with the choice to engage and connect with their fitness equipment in ways that would never have been dreamed of 40 years ago. Over the last decade we’ve developed the Life Fitness Journey to help facilities differentiate themselves. Attention to the Journey pillars of variety, social interaction, progression and environment and a well-crafted mix of people, spaces and equipment create a facility that is inviting to new and current members.